YOUR IN THE RIGHT PLACE!!! Racers Awaiting their Awards with the incomparable Rick Henry calling out the winner's names!! Thank you to everyone who came out to the Ray Tanner Home Run!! We had another successful race on a beautiful Carolina morning!! 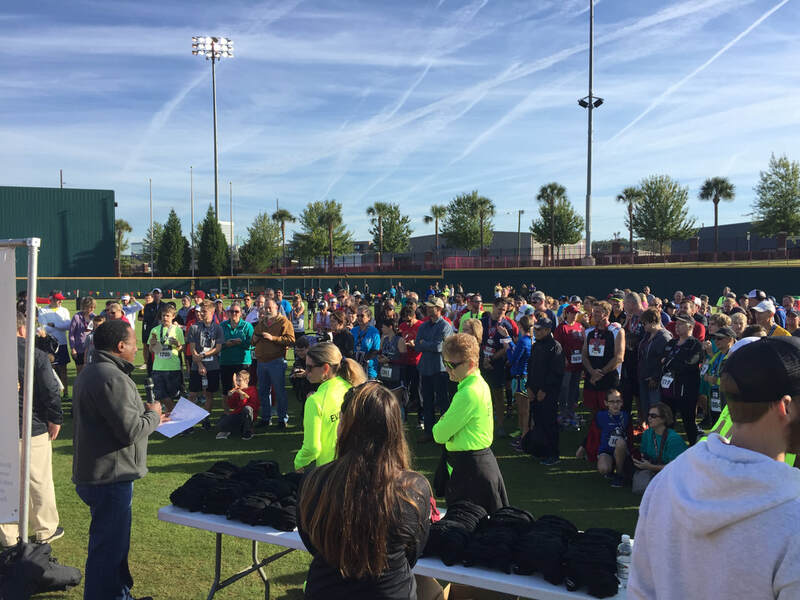 We look forward to donating the proceeds from the race to children in need in our community and doing our part to make sure all children in the Columbia area have what they need to be healthy and happy! ​a 1-Mile Run and a Kids’ Fun Run. The 12K event is certified by USA Track & Field and presented in conjunction with the Columbia Running Club. Medals are ready to give out! "I look forward to seeing you run down the third base line in the footsteps of our National Champions." "You might be providing meals for somebody this weekend who, otherwise, might be hungry. And that’s a miracle." The Ray Tanner Foundation website is designed and maintained by volunteers as a community service to the Ray Tanner Foundation.